Having been refused on the matter of coming with him, Hannan sat down to make a painting of Jesus and, yet, was unable to do so. He was unable to capture the glorious compassion and love in the face of Jesus and, consequently, failed to produce a painting that truly represented the face he was seeing. Noticing Hannan's failures, Jesus washed his face, took a cloth and dried it, and gave the cloth to Hannan. 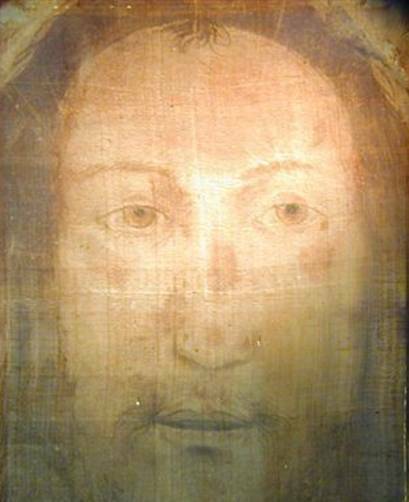 Legend holds that the appearance of Jesus' face was made to stay upon the cloth as an image to take back to Abgar.Thus, the first icon was made by Jesus' hands and is, therefore, described as: acheiropoietoe ("made without hands"). From this, some draw Jesus' approval of iconography and the process of writing spiritual imagery.